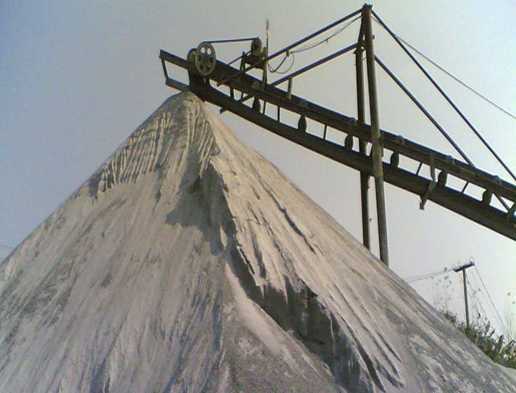 In civil engineering, aggregates with a particle size greater than 5 mm are coarse aggregates, also known as stone; aggregates with a particle size of less than 5 mm are fine aggregates, also known as sand. 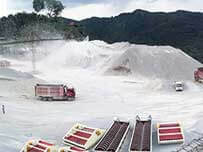 Qualified fine aggregate should have a good gradation, including fineness modulus, firmness, mud content, sand equivalent, etc. Among them, the fineness modulus is an important indicator to measure the quality of aggregate, which directly affects the workability, strength, impermeability and economic indicators of concrete. Fineness modulus is an index indicating the degree and type of grain size of the fine aggregate, and is an empirical number obtained by adding the total percentage of aggregate sample retained on each of the specified series of sieves and dividing the total by 100. The value is not equal to the average particle size, but it can accurately reflect the thickness of sand. The larger the fineness modulus, the thicker the fine aggregate. 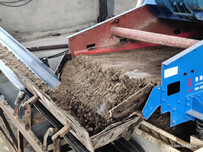 Common concrete sand has a fineness modulus ranging from 3.7 to 1.6, preferably medium sand, or coarse sand plus a small amount of fine sand in a ratio of 4:1. The sieve sizes are 150, 300, 600, 1.18 mm, 2.36 mm, 4.75 mm, 9.5 mm, 19.0 mm,38.1 mm and larger increasing in the ratio of 2:1. The same value of fineness modulus may therefore be obtained from several different particle size distributions. In general,however,a smaller value indicates a fineraggregate. 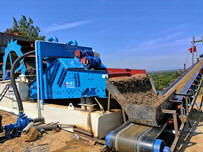 Fine aggregates range from a FM of 2.00 to 4.00, and coarse aggregates smaller than 38.1 mm range from 6.50 to 8.00. Combinations of fine and coarse aggregates have intermediate values. 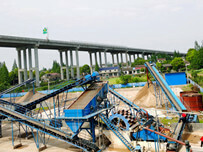 Coarse sand: fineness modulus is 3.7-3.1, and average particle size is 0.5mm or more. Medium sand: fineness modulus is 3.0-2.3, and average particle size is 0.5-0.35mm. Fine sand: fineness modulus is 2.2-1.6, and average particle diameter is 0.35-0.25mm. Extra fine sand: fineness modulus is 1.5 to 0.7, and average particle diameter is 0.25 mm or less.